There is no a true Denmark high speed railway line, partly due to the topography and partly because of population density; in the same time trading with the rest of Europe is increasingly important and the classic lines that carry this traffic are congested. There is no a true Denmark high speed railway line, partly due to the topography and partly because of population density; in the same time trading with the rest of Europe is increasingly important and the classic lines that carry this traffic are congested. The question is whether to upgrade existing lines or build from new. The chosen solution is a mixture of both. The need was not only to increase network capacity but also to facilitate the connection of some sizeable towns, such as Odense, Hasler, Køgeand Hårler, to Copenhagen within a ‘one hour target’. 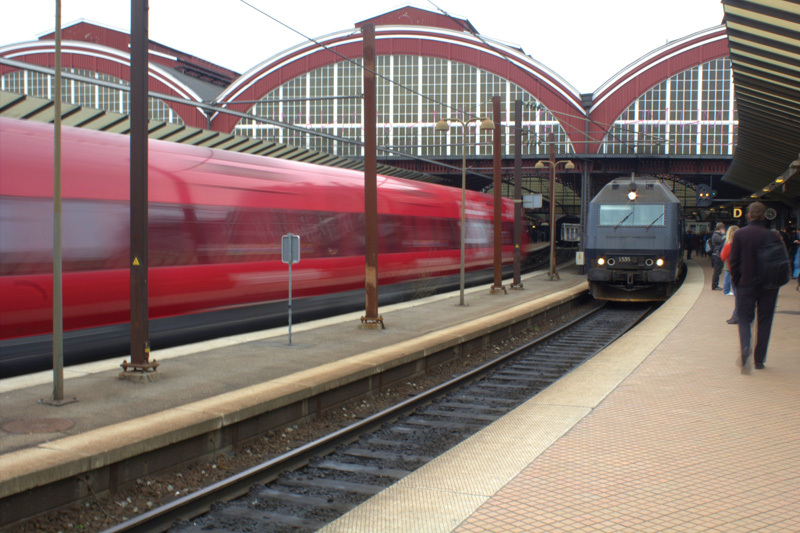 Speeding up the commuter network is seen as good for the business prospects of the capital as well as promoting modal shift in the travelling habits of the Danish population. Trains to be supplied as a standard product ‘out of the box’ from one of the established manufacturers. The 60km line will have 5 tunnels totalling 2,000 metres and 87 bridges. 200 buildings will need to be demolished and 1,200 others will be affected in some way by the line’s construction. 900 utility services such as power lines and gas pipes will need to be relocated. Interestingly, many bridges were built in advance of the final project go-ahead as part of a government initiative to stimulate the economy. The line of route has been decided to go parallel a motorway. This was the pragmatic solution since, with the environment already disturbed both visually and by noise, adding a little more of the same is seen as no big deal. Secondly the construction timescale is much quicker. The cost for the line was originally estimated at 10.4 billion Danish krone, about €1.2 billion. Of this, 8 billion krone was seen as the ‘activity’ budget with another 2 billion krone put by as a reserve from both the company budget and from the Government Department responsible for Transport. It is admitted that the costs are expected to rise, mainly to take account of changes to design requirements and contract variations, and the final cost is now reckoned to be €1.8 billion.